An automatic standby generator backs up your power regardless if you are home or not. Within 10 to 20 seconds of the utility outage, it provides power directly to your home’s electrical circuit breaker box. When utility power returns, the generator turns itself off and resets for the next loss of power. 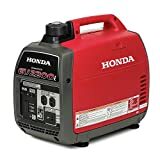 It will operate on natural gas, diesel, or liquid propane gas and is permanently installed outside similar to a central air conditioning unit. 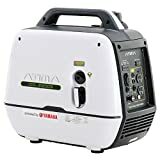 Portable generators are usually sufficient for most blackout situations, but the home standby generator definitely produces more power in a hassle-free, automatic operation. And, it is certainly nice to not have to drag out the unit from storage and hook up those extension cords. Air cooled generators have engines that fan force air across the engine for cooling. On the other hand, liquid cooled generators use enclosed radiator systems for cooling, which is similar to an automobile. Typically, the liquid cooled engines are used on larger, high output wattage generators. Determining the size and type of generator can be problematic and the best way to decide is to envision your home without power! Keep in mind that some outages will be short term and others could last for days at a time. What appliances and equipment would you truly need to operate as a minimum in order to maintain your family comfort? More than likely you need to preserve the food in your refrigerator, but what else is absolutely necessary? Right each one down and total up the wattage requirements. A portable generator powers individual appliances using extension cords. It is recommended that you have a manual transfer switch installed to block any power from back feeding in the power lines. Plus, this lets you get rid of the cumbersome extension cords as well as lets you power items that are hardwired into your house such a furnace fan. Be sure to never run your generator in the home or any enclosed area because the carbon monoxide fumes are deadly. There must be plenty of ventilation. Generators aren’t necessarily quiet. Some offer extra features to reduce the noise created during operation. Look for large mufflers if noise is a concern. It is a good idea to know if your particular state conforms to the stringent California Air Resource Board air-quality standards. 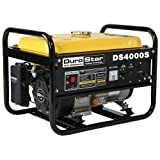 If so, then be sure to buy only generators with CARB compliant engines. 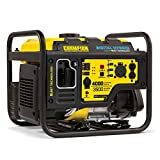 This is particularly important if you are ordering your unit from such outlets as Amazon.com and no one double checks to make sure your generator can be legally operated.